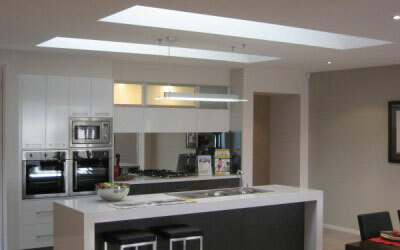 We at Custom Skylights pride ourselves on being an all Australian company. 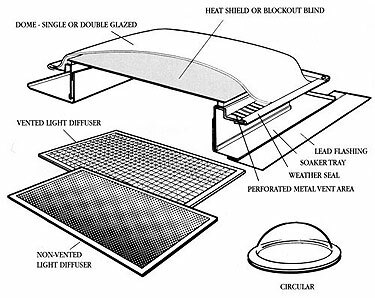 Our manufacturing plant in Bayswater makes all the components of our skylights. Domes, bases and flexi-shafts are all manufactured by us to strict Australian standards. 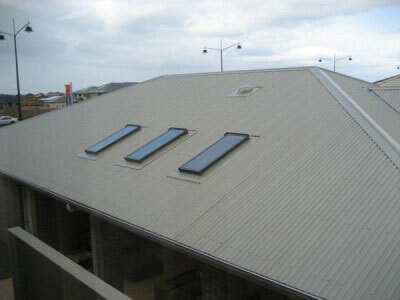 Custom Skylights also manufacture Fire Rated Skylights that are BAL40 certified skylights for Bushfire prone areas. So let us show you how a Custom Skylight can create your own natural, clean and absolutely free lighting, enhancing even the smallest bathroom to create a feeling of space. No matter what room, our natural skylights can be custom made to any specification to provide the light source you require. 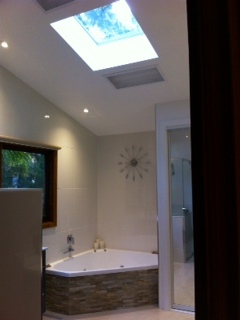 At Custom Skylights we manufacture our own natural skylights to suit any application. Using a variety of shapes and finishes you can brighten, enhance and open up those dark spots, and the power source is absolutely free! The more natural light, the lower the energy bills. 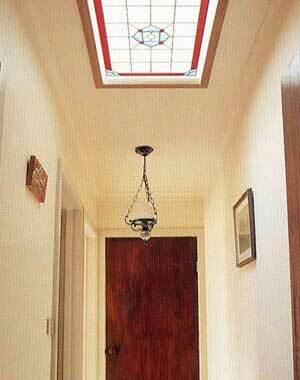 Leadlights can be added as an extra feature. With a Custom Skylight you can use your own ideas to create a light area in your kitchen that has your own personal touch. 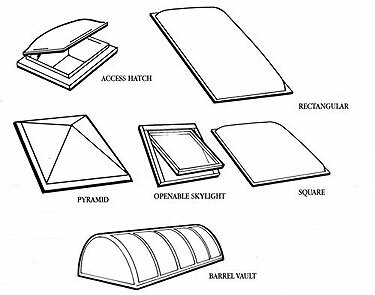 No matter what type of roof or style of architecture, Custom Skylights can provide the most innovative design and unique installation service available. From residential homes to offices and factories, we have the experience that makes the difference. A Custom Skylight installation is unique. Our melamine lightwell not only looks good but is maintenance free, does not cause condensation or conduct heat. You are able to see the clouds by day and the stars by night, bringing the outdoors… indoors! 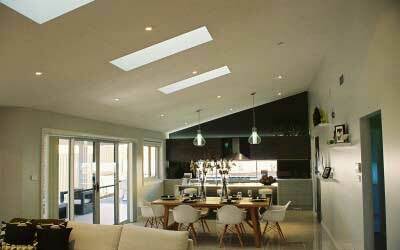 Our natural lighting techniques use skylights to create a vital link between people and the environment. With a Custom Skylight your favorite sitting-room comes alive with natural sunlight and creates an atmosphere of space and elegance. Solar control panels, double glazed domes, forced ventilation, light diffusers, the range of options are endless. Call now and discover how inexpensive it really is to let your natural light ideas become reality.